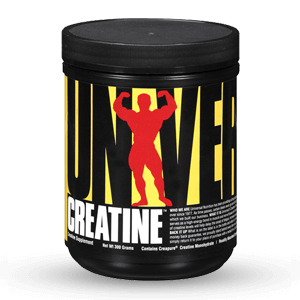 Thermogenesis is the process that increases the metabolic rate. Citrus aurantium delivers a unique combination of five adrenergic amines (synephrine, N-methyltyramine, hordenine, octopamin, and tyramine) to stimulate beta-3 receptors that increase the rate at which fat is released from the body stores (lipolysis) and increase the resting metabolic rate. At the same time garcinia extract, which includes (-) hydroxy citric acid (HCA), increases the production and storage of glycogen while reducing both appetite and weight gain. 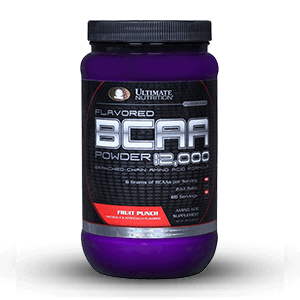 HCA also causes calories to be burned in an energy cycle similar to thermogenesis. 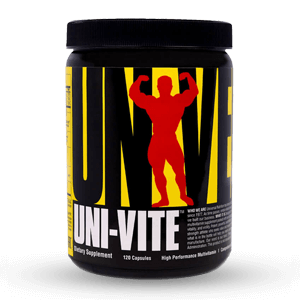 Ultimate Nutrition’s Ultra Ripped® ( ephedra free) capsules are manufactured under the strictest quality control to ensure your satisfaction. 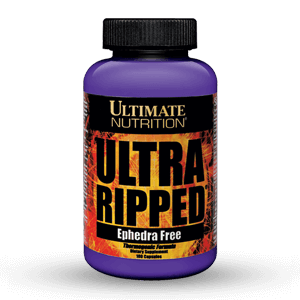 Ultra Ripped® should be combined with physical activity, exercise and improved diet. 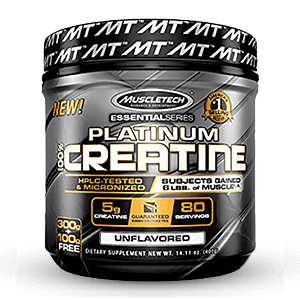 Ingredients:Gelatin, Cellulose, Dicalcium Phosphate and Magnesium Stearate. Directions:First week, take one (1) capsules with eight ounces of water two times daily, one hours before meals (breakfast & lunch). After one week, take two (2 capsules) with eight ounces of water two times daily, one hour before meals (breakfast & lunch). Drink plenty of water during the day as needed. Do not take in the evening or within six hours of sleep. Note: Each serving size (two (2) capsules) contains approximately 27 mg natural caffeine. Warnings:First week, take one (1) capsules with eight ounces of water two times daily, one hours before meals (breakfast & lunch). After one week, take two (2 capsules) with eight ounces of water two times daily, one hour before meals (breakfast & lunch). Drink plenty of water during the day as needed. Do not take in the evening or within six hours of sleep. Note: Each serving size (two (2) capsules) contains approximately 27 mg natural caffeine.